Our comprehensive ATPL Aeroplane Full-Time Ground School enables students to concentrate on studying the four most difficult subjects during their stay with us and complete the other three subjects at a less stressful time! This option has proven to be very successful and popular with students, as it maximises your chance of success and minimises time spent away from home. The ATPL(A) Theory Course involves six weeks of intensive full-time study, working from 8.00am to 5.00pm, Monday to Friday. You will also be expected to do homework each night and over the weekend. While time spent in class is intensive, our course format allows as much time as possible for many detailed revision tests. On completion of each subject module you can attempt Advanced Flight Theory’s Practice CyberExams before attempting the actual CASA PEXO Exams. Our fees include all Course Notes, Revision Tests, Practice CyberExams, Random Question Generators and Answer Sheets. There is no requirement to purchase any other textbooks as all relevant references and manuals are included. You will need to provide your own set of Airservices Publications, Charts and Navigation Equipment. When enrolling on the seven subject discounted package, the Distance Learning subjects will be dispatched to you once you have paid your deposit. The three subjects can be completed at your convenience, before or after attending the ATPL ground school. The package covers the entire CASA ATPL Syllabus for these three subjects and includes comprehensive Notes, Revision Tests, Practice CyberExams and Answer Sheets. Many students have received 100% for these subjects after using our study material only and making the effort to study hard. This package can be forwarded free to you anywhere in Australia. We are happy to post the package anywhere else overseas, however due to the considerable expense of airmail and essential insurance, we must charge an overseas postage fee. We will contact you prior to dispatch to quote overseas postage charges. Our course is very intensive, however we have done everything possible to ensure adequate time is given to fully cover the full ATPL(A) syllabus. We have found that our short course format with our constant revision tests, leads to better information retention, especially on exam day! Please Note: There may be some slight variations to the format described below when public holidays interfer with the scheduled CASA PEXO Exams at the end of each subject. Navigation commences on Monday, with six days spent in the classroom and the CASA ANAV PEXO Exam scheduled for the Tuesday after class finishes. Navigation includes studying the static/pitot system, gyroscopic/laser ring instruments, weather radar, radar/radio altimeters and the latest on GPS. The principles of operation of radio navigation aids and their errors and limitations, determining position by way of radio navaid information (RMI with VOR/ADF) and the use of an ERC are covered next. You will learn to plot Critical Points and the Point of Safe Diversion on ERC and how to calculate track intercepts without a chart using basic trigonometry. The subject material is covered in the classroom from Monday to Friday, with Practice CyberExams over the weekend and the Monday before the CASA ANAV PEXO Exam on the Tuesday. Aerodynamics and Aircraft Systems commences on a Wednesday, with seven days spent in the classroom and the CASA AASA PEXO Exam scheduled for the Friday after class finishes. The Aerodynamics and Aircraft Systems syllabus is very broad, covering BGT (Basic Gas Turbines), EFIS (Electronic Flight Instrument Systems), FMS (Flight Management Systems) and all aircraft navigation and control systems. These are all discussed in great detail. Special videos on many of the important aspects will be viewed. Aircraft Hydraulic and Electrical Systems are also topics covered during the course. Advanced Flight Theory has an EFIS Computer Simulator, displayed via a large screen video data projector. The simulator allows us to show, in real time, a complete flight using the latest in EFIS displays and FMS. Wednesday to the following Thursday are spent learning the subject material, with Practice CyberExams sat on Thursday before the CASA AASA PEXO Exam. Performance and Loading commences on a Monday, with five days spent in the classroom and the CASA APLA PEXO Exam scheduled for the Monday after class finishes. This subject involves calculation of Weight and Balance for a Boeing 727, a thorough investigation of takeoff and landing performance and a detailed look at CAO 20.7.1B, so you fully understand the reasons behind all of the operational performance standards. The first four days in class covers the course material, with revision on Friday and our Practice CyberExams completed over the weekend before the CASA APLA PEXO Exam on the Monday. Flight Planning commences on a Tuesday, with nine days spent in the classroom. No CASA PEXO Exam date is booked for Flight Planning. This allows students more time to practice and refine the techniques needed in the AFPA exam. The additional time should ensure all methods and processes are fully understood and careless errors eliminated, with the added benefit of reduced time pressure before attempting the CASA exam. The majority of our students will book the AFPA exam themselves after returning home and allowing themselves enough extra time for suitable revision and practice. We do not have any pre booked exam sessions with ASPEQ for our Flight Planning courses and encourage you to book and sit the exam when you are fully prepared. * B727 Performance and Operations Handbook only issued if not already held from Performance and Loading study. We start with a discussion of the effects on jet engine performance and aircraft aerodynamics, of cruising at high altitude and high speed. True Air Speed to Mach Number conversions, and other important considerations when flying near the speed of sound are also explained. Once you fully understand these concepts you are ready to start Flight Planning. This is not only the most interesting, but also the most complex and time consuming section of the CASA syllabus. Step by step you will become familiar with the Boeing 727 Handbook, so by the end of the first week you are confidently planning RPT flights, including calculation of the PNR and ETP for Normal Operations, One Engine Inoperative Flight and Depressurised Cruise. We also cover Yaw Damper failure, Buffet Boundary considerations and Alternate aerodrome requirements. You will eventually feel confident working through challenging problems. The second week of Flight Planning is devoted to consolidation and revision with CASA style revision tests and Practice CyberExams. You should allow approximately seven or eight days of devoted self study time to cover all of the material required to sit the remaining subjects of Meteorology, Air Law and Human Factors. The study material includes reference material, revision tests, Practice CyberExams and a very comprehensive document index. We are an Airservices Australia Reseller and stock the complete range of CASA Publications, Charts and Navigation Equipment. A full range of stationery items are also available. Supplies can be purchased on arrival, by phone or via our online store. Contact Brett Adamson for further details! All of Advanced Flight Theory’s professional theory courses contain our Practice CyberExams for each subject, including a personalised username and password with four Marking Credits per subject. While our Practice CyberExams do not contain actual CASA exam questions, they are designed to ensure you become familiar with the style and workload involved in the actual CASA PEXO Exams and help you become familiar with the layout and format of the exams. The sole purpose of our Practice CyberExam system is to help you determine if you are fully prepared to attempt the actual CASA PEXO Exams for each subject. Our Practice CyberExams have proven to be very popular with our students. Since our system was first created, we have had over 5000 different aeroplane and helicopter pilots attempt our exams and approximately 25,000 Practice CyberExams are sat via our system every year. Please click here for a demonstration of our system. Our course fees DO NOT include CASA Exam Fees, ASPEQ Delivery Fees, Accommodation or Supply Shop items. Additional items required are: note paper, pens, pencils, ruler, rubber, highlighters, dividers, compass, post-it-notes, navigation protractor, Jeppesen CR-3 or APR CR-6 circular navigation computers, Calculator, ERC High and Low Charts, TAC Charts, CAR’s, CAO’s (20-99), AIP and ERSA with RDS. The Jeppesen Airways Manual/Charts can be used as a substitute for AIP/ERSA/ERC‘s, however where there are differences between CASA and Jeppesen Documents, the CASA Documents are considered the definitive reference. Navigation equipment required is a Circular Flight Computer and a navigation protractor. The Jeppesen CR-3 or APR CR-6 circular navigation computers are the largest of the circular style. You can use the smaller Jeppersen CR-2 and Jeppersen CR-5, however the smaller scales make it much harder to achieve the accuracy required for the exams so we recommend you use the larger Jeppesen CR-3 or APR CR-6 circular navigation computers. Slide style navigation computers are not suitable for ATPL(A) exam study. You will also require note paper, pens, pencils, ruler, rubber, highlighters, dividers, compass, post-it-notes. For the CASA examinations where a calculator is permitted, you will be required to use your own electronic calculator. CASA will NOT provide a calculator. The calculator permitted is limited to a ‘Basic calculator’. The term ‘Basic calculator’ for the purposes of these exams is defined as one which only has four functions (+, -, x and ÷), a square root function ( √ ), a single memory, a percentage key (%) is optional. It must not be programmable or an ‘aviation computer’ capable of doing CAS/TAS/MN conversions or solving of aviation type problems; such as determining ground speeds, required heading, wind components or in-flight winds. Important Note: Departure and Approach Procedures (DAP) East and West is a permitted reference for the CASA Air Law PEXO Exam, however the main topic covered by the Air Law syllabus that requires reference to DAP East and West is noise curfew procedures and requirements. If you do not already have DAP East and West and wish to avoid the considerable cost of purchasing these documents, you should familiarise yourself with noise curfew procedures before sitting the CASA Air Law PEXO Exam. Full-Time Ground School Subjects – In class on the Sunshine Coast with Nathan Higgins covering Navigation, Aerodynamics and Aircraft Systems, Performance and Loading and Flight Planning. 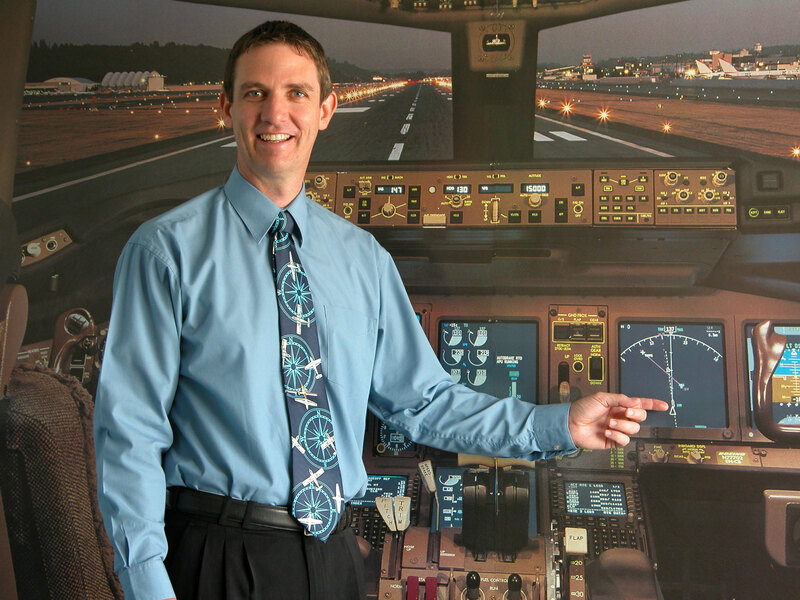 Distance Learning Subjects – Self study covering Meteorology, Air Law and Human Factors. Includes all of AFT’s Course Material, Online Practice CyberExams, 6 Weeks of Full-time Ground School Course Tuition and Distance Learning Course Support. Discounted Course Package Fee: $4990.00 – Saving of $850.00 compared to enrolling on each subject individually. An initial deposit of $850.00 is required to enrol on this Package. After the deposit is received we will dispatch the Distance Learning Study Material for AMET, AHUF and AALW. The balance must be paid in one instalment on the first day of your full-time course. For students wishing to attend individual subjects spread over several courses you are still welcome to enrol on this package, however please note the balance is due on the first day of your first full-time subject. If you wish to pay for your ATPL subjects individually please refer to the Capped Price Option below. Capped Price Option: $5190.00 – Saving of $650.00 compared to enrolling on each subject individually. If you choose to complete your ATPL Full-time Ground School subjects individually, enrolling and paying per subject as you go, we will ensure your course fees are capped so you don’t pay more than the discounted capped price of $5190.00. * When upgrading from Distance Learning to Full-Time Ground School Course, you must bring your Distance Learning course notes to class with you, as these are not re-printed as part of the upgrade option. Please Click Here for our Course Schedule. IMPORTANT NOTE: CASA and ASPEQ PEXO Exam fees are NOT included in our course fees for Full Time Ground School or Distance Learning Courses. If you are attending our Full Time Ground School Classes we have pre-booked CASA PEXO Exam sessions for our students at the end of each subject. If requested, we can book your exam in one of these sessions for you on your first day in class and charge the exams fees to your account. Our pre booked sessions mean you do not need to book your own CASA PEXO Exams for subjects you do in class with us. You must book your own CASA PEXO Exams for any Distance Learning subjects you study. CASA PEXO Exams used as credits towards CASA flight crew licences can only be sat in Australia. Before booking any CASA PEXO Exams candidates need to be sure of their eligibility and timing before making a booking. You must ensure you fully understand Candidate Responsibilities and you have the required Pre-requisite Qualifications before you book an exam. In particular, overseas students should note that they must hold a CASA CPL(A) or have a pass in all seven parts of the CASA CPL(A) theory exam to meet pre requisite qualifications for sitting CASA ATPL(A) PEXO Exams. ASPEQ have a strict policy on refunds and transfers to other sitting dates. When booking exams candidates should be aware of the retraining periods required after exam failures and make allowances for this. ASPEQ recommend that you do not book for more than three exams at a time to ensure there are no transfer fees or that exam fees are not forfeited. If you would like to enrol in our ATPL(A) Full-time Ground School Course by using our secure “online” enrolment service, where you can order or enrol online and pay by credit card please Click Here. Contact Us directly and we can answer all of your questions and take your details over the phone. If after attending our full time course, you are not totally prepared to sit the CASA PEXO Exams, or you are having difficulty with any aspect of the course, you are welcome to return and resit all or any part of the course you have paid for once, with no additional course fee. If necessary, you may also resit all or any part of the course more than once, subject to some simple conditions. We guarantee to stick with you until you achieve your goal.